Home / Is Renting Tiny Homes a Viable Option? There are many different types of tiny homes, which means that investing in this type of property requires a lot of research. While some tiny homes are built on a foundation, others are mobile. 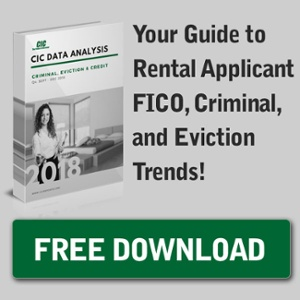 This presents the opportunity to move your rental should you ever need to, but it also opens up the possibility that tenants could find a way to run off with it as well. These factors also effect the cost, which is something that you’ll want to keep in mind. Don't Forget About the Red Tape. With each city having its own zoning restrictions and states all having differing legislation, there may be limits as to where you can put a tiny home. Even if you can build or buy a property for cheap, it may cost more for the land than you’d expect. If you can’t find a lot to buy to place a tiny home (whether it be on a separate property or in a tiny home community), you could be stuck renting a space in an RV park to place your property which can cost as much as $1500 a month. Be sure to know the laws regarding tiny homes in your city and state, as they could make it difficult for you to have any success with this type of investment. While tiny homes are quite popular now, it’s questionable if they’re a good investment. Someone may be able to find success with this type of investment, but there’s a lot up in the air. Who knows how long this fad will last, and some have said that they have found it hard to sell their tiny homes. As investments like these can depreciate over time, you don’t want to be stuck with a property that you can’t sell when you need to. Should you decide to that you want to give tiny homes a go, there are sites such as Try It Tiny and Tiny House Listings to help you set a price and market your vacancies. Of course, CIC is always here to provide fast and reliable tenant screening. It seems as though renting tiny homes could be an option but would be better suited for short term rather than long term rentals. With so many variables surrounding this type of investment, taking them on could be quite a risk. However, should you choose to dip your toes in the water of this popular trend, make sure to do your due diligence. As the legislation surrounding tiny homes isn’t very consistent from state to state, you’ll want to know the regulations in your neck of the woods.